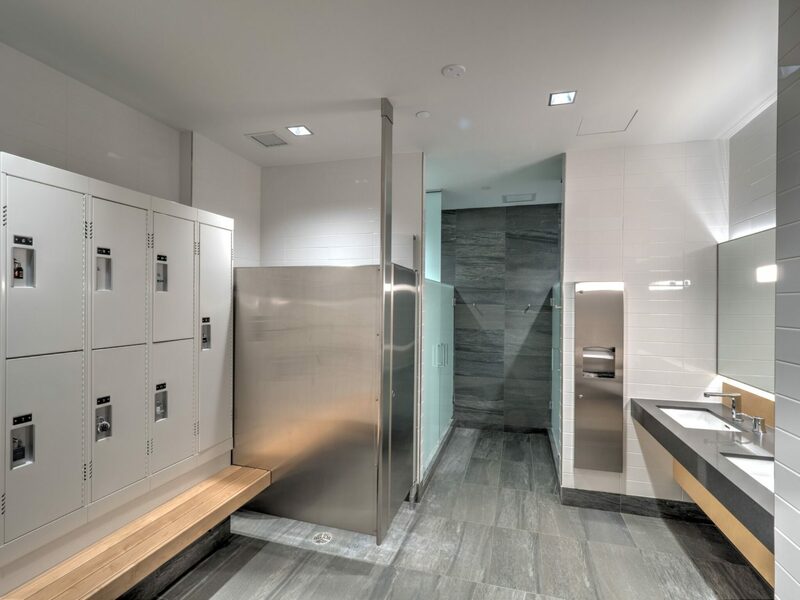 Manulife’s amenity space boasts a total square footage of 1,772 sq ft. 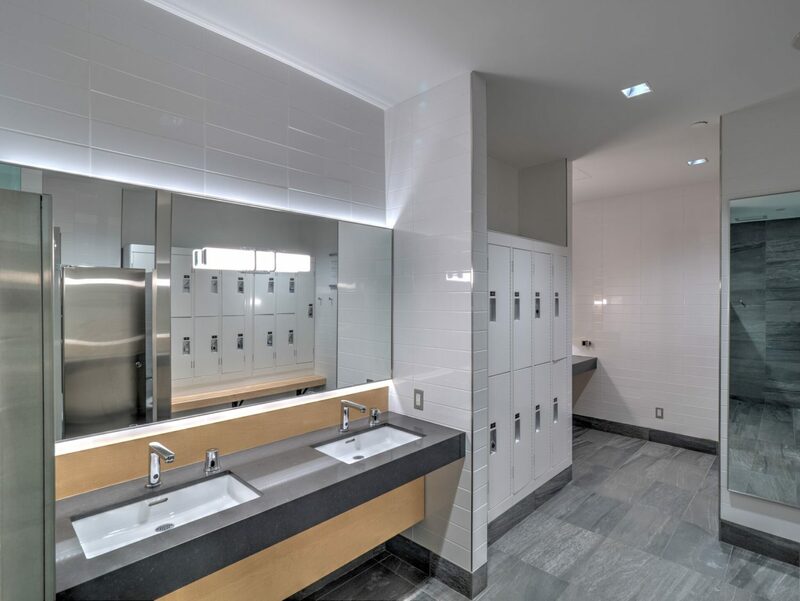 This fitness center is located on the main floor of the building with an easily accessible mens and ladies washrooms within the space. 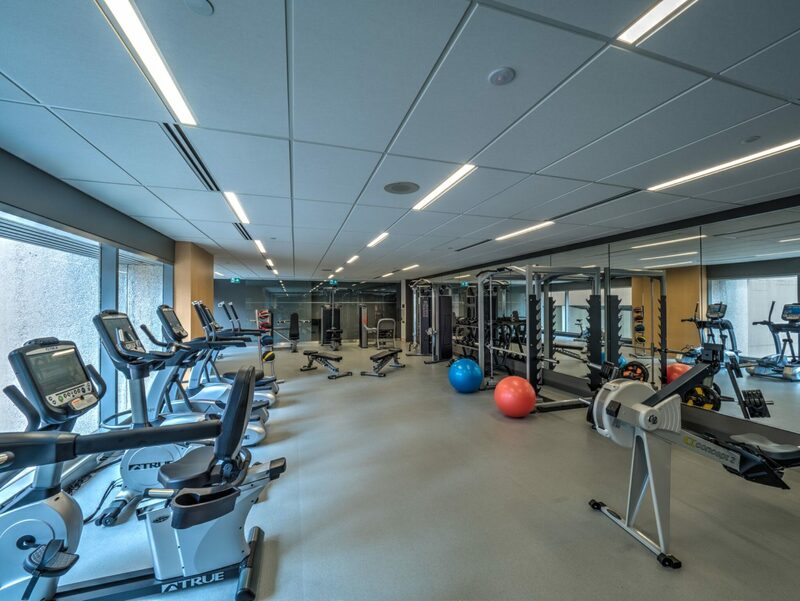 This was a much needed feature of the building for tenants to balance work and maintain their health and fitness at the same time.